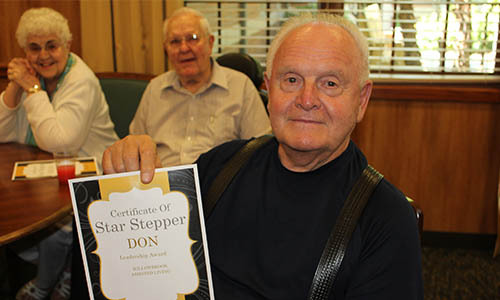 York General Willow Brook is an assisted living facility established for persons needing various levels of daily assistance. Designed for independence and socialization, Willow Brook is an attractive choice for persons needing or wanting to change their living arrangements. Willow Brook Assisted Living provides housing, food service, personalized assistance and support, some limited health care services like assistance or reminders with medications, and a relatively high level of independence for individuals who prefer not to live alone, or for safety reasons should not live alone. 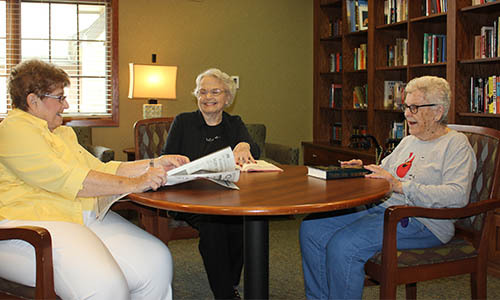 Residents have opportunities for companionship and socialization, and if they choose, can continue all of the activities they were accustomed to before moving into assisted living. Medication Assistance and Reminders – Willow Brook offers reminders and assistance with medications, both prescription and over-the-counter supplements, herbal products, and treatments. 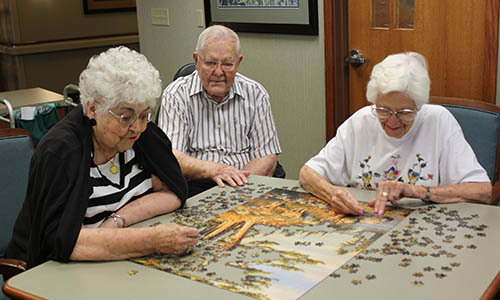 Social and Recreational Activities – Willow Brook Assisted Living has many attractive features including spacious apartments in studio, one-bedroom, and two-bedroom floor plans. 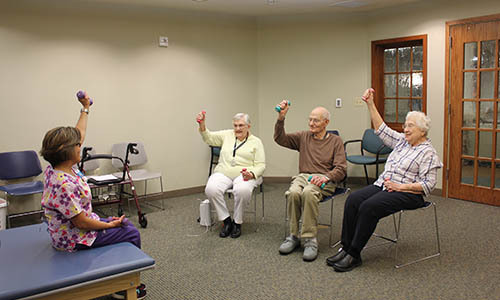 Willow Brook provides ongoing activities such as cards, puzzles, crafts, computer access and training, baking and cooking, low-impact aerobics and exercise, and special holiday observances. In addition, religious services, excursions to community events, special programs, and entertainment within the facility are scheduled on a regular basis. Costs – Willow Brook charges fall into three categories: room charges, care level charges based on the resident’s needs, and charges for non-routine services. Some long term care insurance policies may cover a portion of the costs of assisted living. The costs for individuals qualifying for Medicaid Waiver are determined on an individual basis by the Department of Health and Human Services. For further information or to arrange a tour, please call 402-362-4886.